How Do I Get New a Birth Certificate After a Name Change? Most name changes do not require a change to your birth certificate. In fact, state offices of vital records will refuse to change the name on your birth certificate if you changed your name due to a marriage or a divorce. Many states will, however, change the name on your birth certificate if you changed your name for reasons such as adoption or gender reassignment surgery. 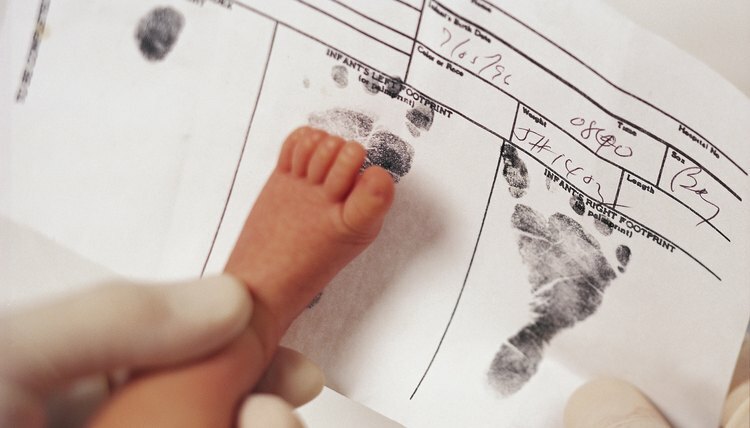 State laws vary on the procedure for changing the name on a birth certificate. Most state departments of vital records require a court order before they will change the name on your birth certificate, and state laws differ on the procedures and grounds for obtaining a court-ordered name change. To apply for a court-ordered name change you must file a petition, pay a filing fee and attend a hearing. Many states require you to publish a notice of your name change petition in a local newspaper. You may also be required to provide documentation such as an adoption decree, which establishes the reason for changing your name. An adult must file a petition on behalf of a minor, and the minor's parents must be notified. You must petition the office of vital records in the state where you were born to amend your birth certificate and pay a filing fee. You will have to present them with a certified copy of the court order and a certified copy of your original birth certificate. You may also need to explain why your new name should be reflected on your birth certificate, since it wasn't your name at the time you were born. When a birth certificate is amended, a document reflecting the amendment is appended to your original birth certificate. This means that your old birth certificate with your old name will remain on file with the office of vital records. Some states use this amendment procedure when a name is changed for certain reasons, such as gender reassignment. Some states create a new birth certificate instead of amending the old one. This practice of completely replacing original birth certificates is particularly important in adoption cases because it allows birth parents the option to amend their child's birth certificate at the time of the adoption to conceal their identity from the adopted child. The office of vital records may keep the original birth certificate in a sealed file that can be accessed only for a certain purpose, such as a criminal investigation. If You Get Divorced, Can You Change Your Name to Something Different From Your Maiden Name? Changing your name in Louisiana is a fairly straightforward civil process. District courts in the state’s 40 judicial districts oversee name changes under the jurisdiction of district attorneys. The rules for changing your name, whether you are an adult or minor, are a part of the Louisiana Revised Statutes. Whether the case is concerning an original custody order or a custody modification, courts in every state are primarily concerned with what is in the best interests of the child. Even where the circumstances of a case have significantly changed, a court will only modify a custody order if it is in the best interests of the child. However, state law governs child custody issues and the particular factors up for consideration, time frame and process for requesting custody will vary by state. How do I Change a Child's Name on Vital Records in Georgia? Vital records include items such as birth, death and marriage certificates. For children, the most significant — and typically the only — vital record is the birth certificate, and this certificate is important for establishing identity. There are several reasons why a parent might want to change his child's name on her birth certificate. An error on the certificate and newly established paternity are common reasons for changing the name on a child's vital records, and these name changes are typically simple. Other reasons for a name change can be more complicated. How Old Do You Have to Be to Change Your Name in NYS?